You can use these 8 trends to consider the best strategy for your upcoming paid social campaign. ‘Tis the season… to advertise on Facebook? It seems like everyone from brand marketers to SEOs are putting their money behind paid social. But is social media advertising really all it’s cracked up to be? Here are eight facts about paid social that may influence your decision to go down this avenue. I’ll let the figures do the talking. Paid social is becoming an increasingly popular marketing tactic with an increase of over 26% in global ad spend between 2015 and 2017 (source). The difficulty of engaging customers on social media organically has pushed many marketers to ‘pay to play’. Facebook continues to be a firm favorite amongst advertisers. 93% of social marketers use Facebook Ads, and 64% of them plan to increase their Facebook activities (SEM 2017). Currently, Facebook has about 6 million active advertisers — that’s a lot of potential ads! It seems that the market is leaning towards more and more advertising, and this trend shows no sign of slowing down. We are likely to see an increase in ad formats, platforms, and tactics as the industry becomes increasingly sophisticated. Going ‘native’ — what do users think? Native ads are viewed, on average, 53% more than banner ads — the days of disruptive advertising are all but over. Native advertising is not only better for users, it allows brands to align their content and sales strategy with more ease. Busy users don’t always have the time to decipher whether content is paid-for, and online advertorials have very subtle affiliations. Both native ads and editorial content hold the user for about 1 second — with editorial content only beating the ads by 0.2 seconds. Using native content and native advertising will keep you in step with the content your audience are already consuming. 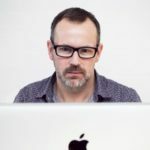 You may want to experiment with new content formats like Instagram story ads or sponsored Snapchat filters – by being an early adopter of an ad format, you stand to gain from being first to market. Though using ad platforms is highly recommended, marketers should also spend time in the native social app in order to get a feel for content that’s likely to appeal to users. Facebook tends to clean up when it comes to social media stats — in 2016, they took in about 67.9 of the overall social media ad spend. But as popular as Facebook Ads are, Instagram is catching up. Instagram has a young, growing and engaged user base — Instagram has over 500 million active monthly users—almost all of whom are under 35 (data from Instagram). Instagram’s mobile ad spend is increasing year by year as advertisers continue to switch to mobile, with Instagram reporting $1.53 billion in global mobile ad revenue in 2016 — a commendable 144% year on year growth. Instagram reports higher ad engagement rates than both Twitter and Facebook, and is also littered with high-powered Insta-influencers who have huge fan bases. Don’t forget the power of Instagram for B2B either…. To make the most of ads on Instagram, explore both the platform’s own advertising hub, as well as more informal influencer advertising. A post from the right influencer is a powerful brand endorsement, but will only work if you are also committed to creating and sharing great content on Instagram. “Facebook posts that pose questions generate 100% more comments.” (HubSpot). Asking more questions might seem like a deceptively simple bit of advice — but it works. Questions elicit curiosity — they compel people to react and get involved. Engagement is key to paid social success, so ignore this advice at your peril. Invest in good copywriting so that your ads read well — you don’t want your questions to sound shrill or desperate. Be extra nosy and run surveys. They are a great excuse to ask questions and advertise at the same time. Videos have changed online marketing — and paid advertising is no different. Over the past few years, thanks to technology and consumer habits, videos have gone from nice-to-have to ESSENTIAL. Did you know that a Facebook video receives 135% more organic reach than a Facebook photo? (Socialbakers). Nice images are great — but a video is even better. It’s a message marketers have heard, with over 70% of marketers planning to increase their video ads in 2017. (source). Videos are a smart way to combat low ad click-through rates on Facebook (some FB guides say as little as 1% is to be expected). The more visually engaging the ad — the better your chances of success. This stat is pretty crazy — Pinterest drives a QUARTER of all retail website referral traffic. That’s a huge proportion of organic search. It certainly highlights the potential, and the already bountiful success, of selling on Pinterest. Why is Pinterest advertising so lucrative? It has a combination of the platform’s engaging, visual format, as well as its unique discovery algorithm and aspirational organization. And just like Facebook, Pinterest are making promoting pins as easy as A,B,C — going from viewing a pin to running an ad on it in just nine seconds. Any platform that makes advertising difficult just simply won’t be able to compete with these advertising powerhouses. 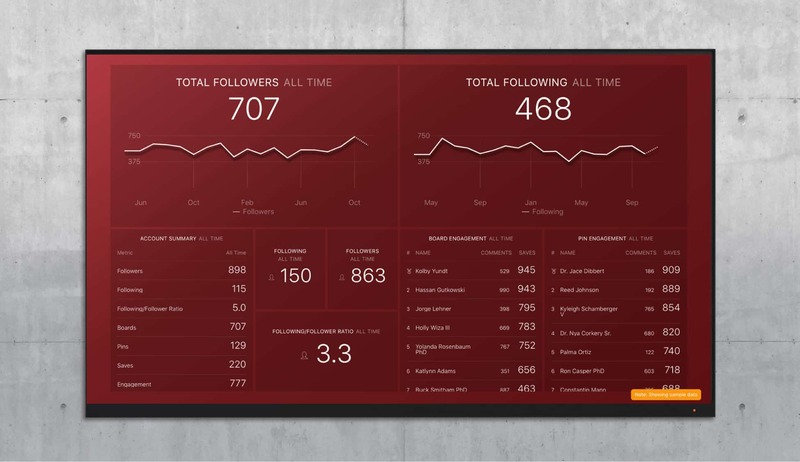 You can track your Pinterest data in real-time with the Pinterest Basics dashboard. Everyone knows that Twitter is big on mobile, but I think that most people would be surprised to know that a whopping 86% of Twitter’s total ad revenue comes from mobile ads (source). It just shows the extremely reactive, ‘on the go’ nature of Twitter — something advertisers are taking full advantage of. So what types of ads perform well on Twitter? Apparently, you may actually be better off promoting your tweets — promoted tweet engagements were up 91% in 2016. As Twitter offers advertisers exclusive access to a user’s newsfeed, campaigns can quickly gather momentum. LinkedIn — untapped B2B market? It may surprise you to learn that a mere 18% of B2B SME marketers use LinkedIn Ads — when virtually all of them use the platform on a regular basis (SEM). As social media environments evolve, new scenarios and use-cases come into play, and I imagine LinkedIn will be trying hard to offer advertisers more ways of using their platform. Or then, they may choose to focus on their lucrative subscription model instead (Recruiter, InMail, Premium etc). Either way, there is a pretty open and untapped market on LinkedIn right now for B2B advertisers. 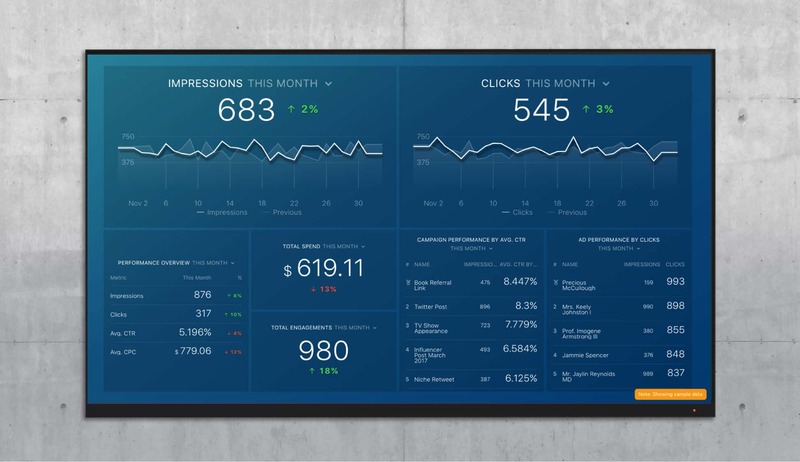 You can track Linkedin Ads data in real-time with the Linkedin Ads dashboard. Advertising trends are moving towards hyper-relevant, hyper-local, and hyper-personalized content. Often ad campaigns are increasingly run on at least a semi-automated basis. As machines and marketers converge in an attempt to win people’s hearts and minds, where will you be standing?